From the start its mission has been to challenge and evolve conceptions of human possibility through the language arts…. 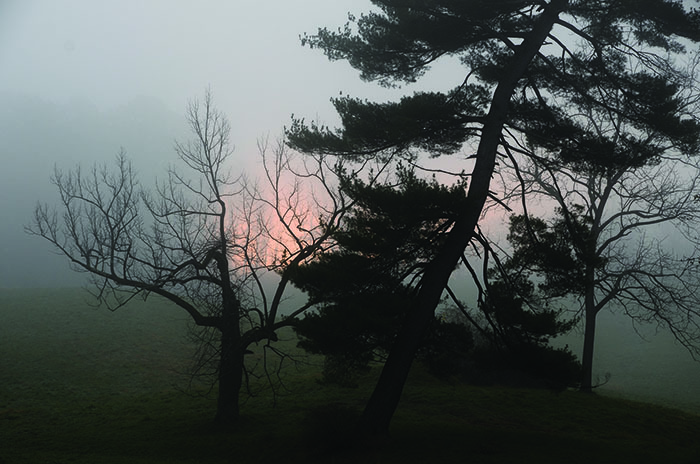 © Susan Quasha, from Winter Music (with poems by Robert Kelly), ‘T’ Space Editions/Station Hill, 2014. I am writing to ask for your support for Station Hill of Barrytown and hope that you will consider including our press in your year-end giving plans. Founded by George and Susan Quasha in 1977, Station Hill has published over 250 books, thanks in part to the generosity of our donors. We are asking for your help to fund current and future projects. All donations to Station Hill, the literary publishing project of the Institute for Publishing Arts, Inc., a 501(c)3 not-for-profit organization, are tax deductible. Our recent books have included Corona: Selected Poems of Paul Celan, translated by Susan H. Gillespie, as well as titles by Peter Lamborn Wilson, Robert Kelly, and Jerome Rothenberg. In 2015 we will be publishing eight books, some of which will be considered historically significant publications, including Eating The Colors Of A Lineup Of Words, an omnibus collection of Bernadette Mayer’s influential yet long out-of-print first books, and the distinguished poet and art critic Carter Ratcliff’s extraordinary first novel, Tequila Mockingbird. And we are currently in preliminary production on Clark Coolidge’s Selected Poems: 1962-1985, edited by Larry Fagin, slated for fall publication. These and other books are part of our effort to maintain Station Hill Press as one of a handful of long-surviving independent publishers serving extraordinary innovative writers. From the start its mission has been to challenge and evolve conceptions of human possibility through the language arts. Along the way we have supported little known as well as major international writers not yet established here, such as the great French writer Maurice Blanchot, whom Station Hill introduced to the American trade in 1978 with Death Sentence (trans. Lydia Davis), eventually publishing eight others in the years to follow. To contribute via PayPal (for which no account subscription is required), please click “Join Our Enterprise!” immediately below. Alternatively contributions may be sent by check payable to The Institute for Publishing Arts, Inc. at: Station Hill of Barrytown, 120 Station Hill Road, Barrytown, NY 12507. We will respond to all contributions with not only an acknowledgement letter but also gifts, corresponding to the scale of your support. Moreover as you may be moved please be in touch—we look forward to further contact. We thank you for supporting Station Hill. © 2014 Station Hill of Barrytown, All rights reserved. Harpo Foundation is pleased to announce our 2014 grant and residency recipients. This latest distribution of funds is supporting emerging and under-recognized visual artists through 8 direct grants to artists, 3 project grants to organizations, and 3 residency fellowships. We would like to thank all of the artists and organizations who responded to these opportunities as well as Heather Ahone, Galen Joseph-Hunter, and César Trasobares who served as advisors to the foundation’s board of directors in 2014. The Foundation’s guidelines for the 2015 grant cycle will be posted online as soon as they are available. Please sign up to receive our email notifications online or join our facebook page where we post regular updates. Information about our two residency fellowship programs is currently online at www.harpofoundation.org.